Around this time of year, the multiples start their autumn wine sales. Among all the half-priced wines and other bogus offers, this year there are some genuine bargains. SuperValu could claim to be the originator of the autumn French wine sale, but in recent years, it has been Lidl leading the charge with a well-chosen list of goodies, targeting the middle-class wine drinker. This year the Lidl range is tighter, with 50 wines on offer, but there is plenty to choose from. The sale starts on September 12th. Aldi has taken Lidl on this year with a World Wine Festival, starting on August 21st. From Alsace, Lidl has three very tasty wines, the floral, fruity Sylvaner 2015 (€8.99, a great aperitif wine), the pleasantly fruity Ernest Wein Riesling 2015 (€9.99) and the more serious, waxy, honeyed Riesling Grand Cru Altenberg de Bergbeiten (€12.99). My star white was the delicious crisp dry Sauvignon Blanc, Adrien Marechal Reuilly 2015 (€14.99). In Beaujolais, 2015 was a great vintage and the Mignot Fleurie from that year is a steal at €10.99. Burgundy lovers can chose from the chunky, fruit-filled Ladoix (€15.99), although bargain-hunters might be better advised to go for the light, clean Les Chanussots Hautes-Côtes de Nuits (€10.99). 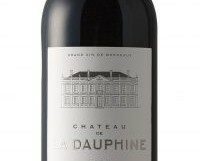 Moving on to Bordeaux, the Château de Rousselet Côtes de Bourg (€9.99) offers fantastic value, as do the Château Lalande Mausse, Fronsac 2013 (€9.99) and the Château le Bourdillot 2012 (€10.99) and the classic, tannic Médoc Cru Bourgeois Château Pey de Pont 2012 (€11.99).Moving up in price, hedonists will go for the lush, oaky Virginie de Valandraud 2014 (€32.99), but I would be delighted to have some of the very impressive Château de la Dauphine 2011, at a very competitive €24.99, in my cellar. Aldi has the excellent crisp, dry Grüner Veltliner Ried Seiber from Austria at an unbelievably cheap €8.99. In the reds, they have two amazingly inexpensive Pinots Noirs, the light, fragrant Fritz Keller 2014 from Germany for €9.99 and the richer, fruitier de Bertoli Yarra Valley GS from Australia for €10.99. Another must-buy is the Nikau Point Syrah from Hawke’s Bay, a steal at €9.99. Bordeaux-lovers should seek out the elegant dry Gloria Douro Reserva , €8.99. SuperValu will have over 100 French wines on offer as well as twenty new French wines in their French Wine sale, starting September 1st. From these I would go for the following; the light, fresh La Petite Perrière Sauvignon Blanc 2015, and the red equivalent, La Petite Perrière Pinot Noir 2015, (both €9), also light, with subtle dark cherry fruits and vanilla. Structured, concentrated cassis and blackcurrants with a dry finish. Decant now and enjoy or keep a year or two. Delicious light savoury peppery dark cherry fruits. Try it with cumin-scented grilled lamb chops. Lively refreshing plump green fruits. A good everyday all-purpose Sauvignon to drink solo or with salads. Delightful fresh fruit-filled Beaujolais; drink solo or with ham and other pork dishes.